You’ll love this elegant wraparound corner unit in the heart of Aventura. This beautifully bright and airy updated 2/2 unit features marble and tiled floors, a master bathroom with french doors leading to a walk-in closet, Italian kitchen with granite counter tops, Subzero Fridge and stainless steel appliances. This spacious unit with over 1,400 sq ft comes completely furnished. Enjoy the tranquil water view and Marina from the large terrace. 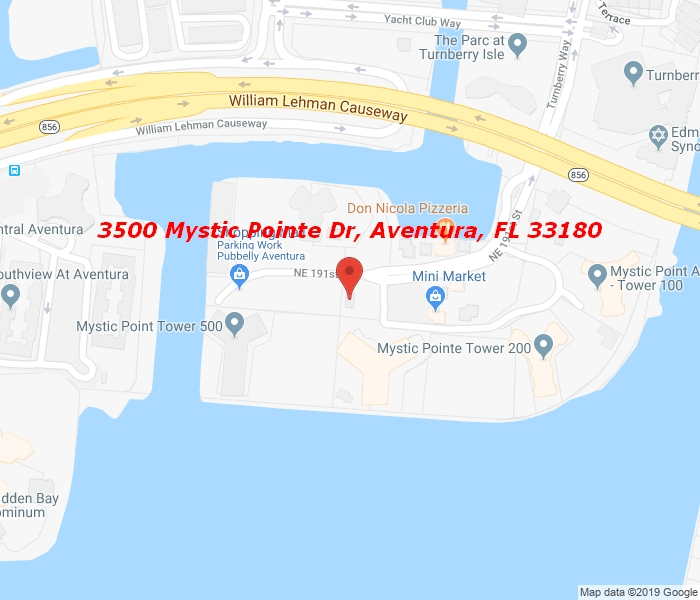 Located in Tower 500, the best building in Mystic Pointe, you’ll enjoy all the luxury and 5-star amenities this gated community has to offer. 24 Hr security, Guard Gate, Concierge, Valet, Gym, Aerobics Classes, Spa, Pool, Tennis Courts, Walking Paths, Marina, and Much More. Easy to show.